Apache webserver is a widely deployed modular web server. 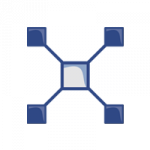 One of its module is called mod_proxy. It aims to turn the web server into a proxy / reverse proxy server with load-balancing capabilities. 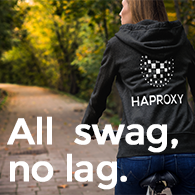 At HAProxy Technologies, we only use HAProxy :). Heh, what else ??? And during some deployments, customers ask us to migrate Apache mod_proxy configuration into HAProxy. Present article explains how to translate ProxyPass related rules. Apache mod_proxy defines a few directives which let it forward traffic to a remote server. They are listed below with a short description. Note: I know the directives introduced in this article could be used in much complicated ways. ProxyPass maps local server URLs to remote servers + URL. It applies on traffic from client to server. This directive makes apache to update URL and headers to match both external traffic to internal needs. ProxyPassReverse Adjusts the URL in HTTP response headers sent from a reverse proxied server. It only updates Location, Content-Location and URL. It applies to traffic from server to client. This directive makes apache to adapt responses generated by servers following internal urls to match external urls. ProxyPassReverseCookieDomain adjusts the Set-Cookie header sent by the server to match external domain name. ProxyPassReverseCookiePath adjusts the Set-Cookie header sent by the server to match external path. Bellow, an example HAProxy configuration to make HAProxy work the same way as apache ProxyPass and ProxyPassReverse configuration. It should be added in the backend section while the frontend ensure that only traffic matching this external URL would be redirected to that backend. Otherwise it was very helpful. The directive “rspirep” is case insensitive, so both ‘Domain’ and ‘domain’ should match. I use the configuration bellow and for some reason it works only with first HTML page and no js or image files are delivered. I use the configuration bellow and for some reason it works only with the first HTML page and no js or image files are delivered. There is either a missing escape in the space, or the space should not be there. I had to escape the space.